SisterHood requires just two fabrics, fabric 1 is your background color, fabric 2 is the applique and some piecing as well. We recommend using a tightly woven fabric, such as a batik for fabric 2. There are two reasons for this, one - batiks tend to be the same color on each side, two - batiks are a higher thread count. Since the applique is blanket stitch, you will see a bit of the raw edge, so having a fabric that is the same color on both sides, as well as a higher thread count will make your applique look fantastic! We will meet the second Sunday of the month for a demonstration of techniques for the blocks. This a lecture/demo format; no actual sewing will be done during the class except the first month. 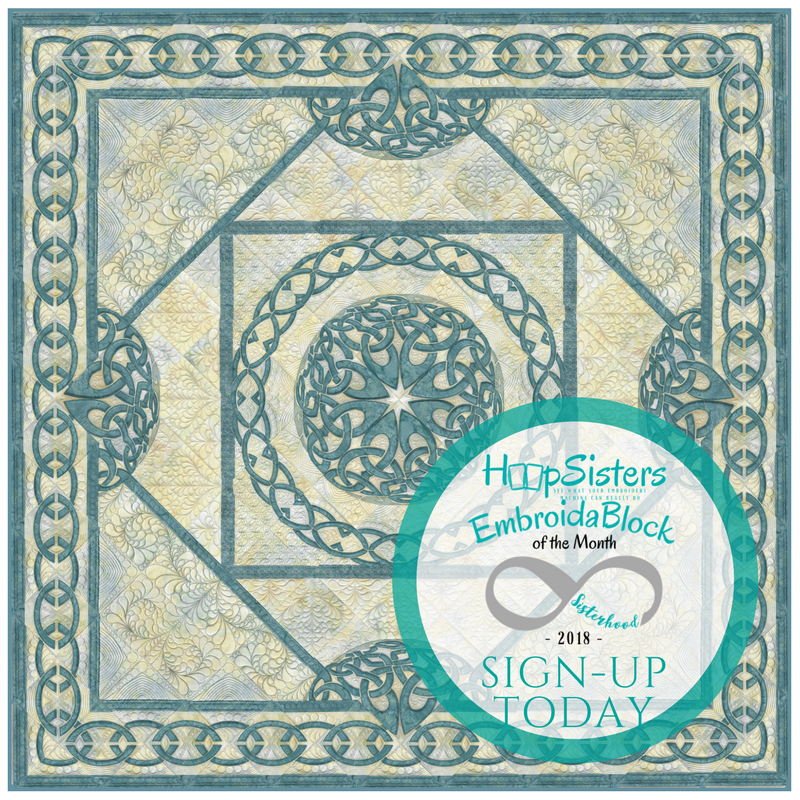 You are welcome to bring your embroidery machine to the first class if possible to be personally walked through the exclusive HoopSister block techniques and than continue the embroidery journey at home. If you are unable to bring your embroidery machine to each class you can choose to just come, learn and watch others embroider without hauling your embroidery machine. Your Choice. Whether you have been quilting all your life or you are just beginning, we know you will enjoy the experience. We encourage you to laugh, have fun, and get to know your fellow HoopSister /Mister.